A cold morning, a Monster Hunter costume and running all over London, prancing about in different locations. Monster Hunter has had unique gestures in the game ever since the original, none are as good as the fabled prance though, so when I got the chance to don the Gore Magala armour from the latest game, you can bet your bottom dollar I jumped at the chance! 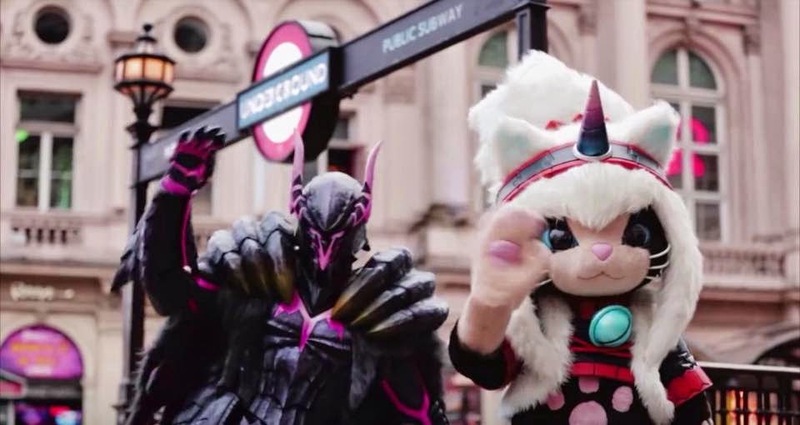 T'was a cold London morning in the middle of February, after piling on a whole mess of armour pieces and helping my Palico get her stuff ready, we set out into the city and obviously there's only 1 real way to keep yourself warm in the harsh winter, by prancing! Here's the video for you to feast your eyes upon. Massive thank you to Capcom for providing the outfits and to Explosive Alan for filming and editing the whole thing, also thanks to my friend Isobel who helped shoved me in and out of London taxis all day. Fun times! Find us over on the social networks!